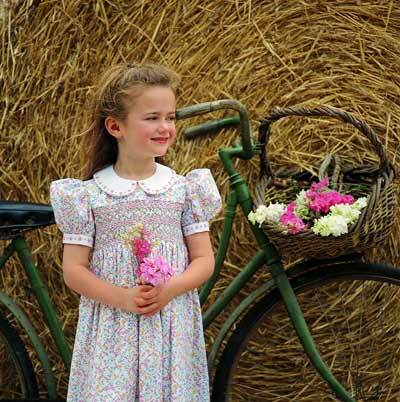 Description: A square yoke dress featuring a smocking design entirely of trellis stitch. The white collar and sleeve bands are embroidered with dainty flowers that reflect the colours and shapes of the flowers in the fabric. The dress closes at the back and sashes tie at the waist.